Getting married in Spain couldn’t be easier so we thought we would share with you some feedback from Karen and Derek who were married in Spain at the wedding venue in Mijas featured in our blog last week. 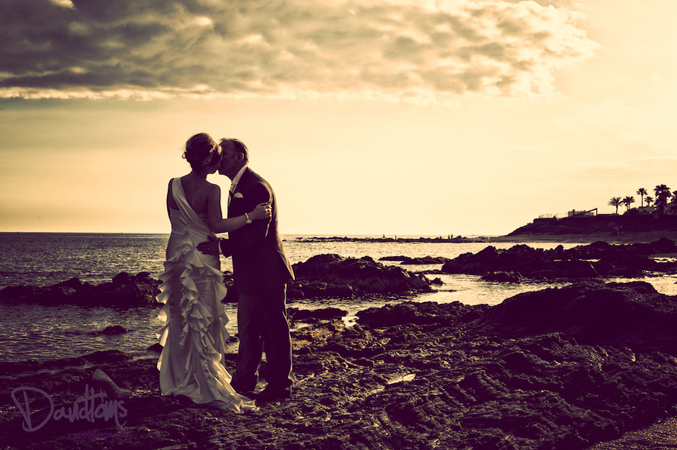 “Sunshine Weddings Spain provided us with a superb service in the run up to, and on the day, of our wedding. Having a team on the ground who have experience and knowledge in the areas and wedding venues in Spain inside out, and who have oversight of all requirements throughout, is totally invaluable. In the run up to the wedding it was very reassuring for us that the suppliers we met with all spoke so highly of Scott and the Sunshine Weddings Spain team. To know they were so well respected within their field for providing unbiased recommendations and getting you the venue and all your wedding services that are right for you really took the stress away and gave us confidence to know we had made the right choice to get married in Spain. Sunshine Weddings Spain have a wealth of knowledge and experience, which means the team will only put you in touch with credible local suppliers so you will only have positive experiences as long as you take their advice onboard. On the day itself having Scott present meant we didn’t need to worry about a single thing; the day flowed flawlessly and was totally stress-free. Our wedding day was just perfect and our guests are still raving about how relaxed and enjoyable the whole experience of flying out and attending our wedding in Spain had been. We have promised our guests that we will definitely organize a reunion at the wedding venue in Spain every year that’s how much fun was had! The wedding service is personal and professional throughout and honestly we couldn’t recommend getting married in Spain enough and using the team. Thanks again for making our wedding day in Spain so very special.